DJI Phantom 4 is 26% OFF ($311.00) If you’re not agreeing to compromises in terms of your next drone, then DJI Phantom 4 Pro is the right choice for you. With a 1-inch 20MPX CMOS sensor sporting aperture control and mechanical shutter, DJI P4 Pro provides the best out-the-box imaging solution in mainstream drone market. Obstacle avoidance, plethora of smart features and failsafe protocols are all here, ensuring DJI P4 Pro is as safe and reliable as they come. Lastly, its specifications are another great trait – 27 minutes of airtime and 7 kilometers of range thanks to DJI’s OcuSync transmission technology. DJI Mavic Pro is 10% OFF ($100.00) DJI Mavic Pro is considered as the best drone out there as far as performance/size ratio goes. With a foldable design, several autonomous flight modes and state of the art 4K camera (with 3-axis gimbal), there are no similarly sized drones that come remotely close to it. Specifications are not to be taken for granted either. DJI Mavic Pro can reach 7 kilometers away from its transmitter and fly around for up to 27 minutes. DJI Spark is 14% OFF ($100) You can already tell there is a bit of saturation in terms of selfie drones. DJI Spark is still on top of the food chain thanks to its hardware stabilization system and buttery smooth Full HD camera. On top of that, DJI Spark also has gesture controls in addition to several smart flight modes. Best of all, it can reach 2 kilometers and fly around for up to 15 minutes. Considering the fact it’s a pocket-sized drone, these specificatiosn are really admirable, don’t you think?! Yuneec Typhoon H is 20% OFF ($300) Yuneec Typhoon H is a mighty hexacopter meant for both casual and commercial uses. With great build quality, thrilling set of features and spectacular specifications, it really makes for a great high end flyer. Sports a 4K camera too, but is capable of lifting DSLR’s without any issues. Flight time is somewhere around 25 minutes and range goes all the way to 1500 meters. Failsafe protocols are plentiful, as well as a sophisticated obstacle avoidance system. All in all, Yuneec Typhoon H is well worth the money. Yuneec Breeze is 27% OFF ($120.00) Breeze is Yuneec’s first endeavor into the mini drones market. And it seems as though they’ve hit the sweetsport as Breeze is doing quite well on the market. Unsurprisingly though, as it sports a mighty 4K camera as well as several smart flight features. Specifications are not dissappointing either – cca 10 to 12 minutes of flight time and roughly 80 meters of operating range. It’s a really good selfie drone, no doubt about that. Parrot Bebop 2 is 38% OFF ($211.74) Parrot Bebop 2 is a huge hit among beginners and more advancec users. That’s because it is extremely easy to fly but offers lots of features to play around with. Parrot Bebop 2 also sports fine specifications, especially when paired with SkyController 2. You can expect up to 2 kilometers of operating range as well as 20ish minutes of airtime. Stability, ease of use and high quality Full HD camera are Bebop 2’s biggset traits. Considering all of them, I couldn’t recommend it more. MJX Bugs 3 is 43% OFF ($73.00) This is the best selling drone in “under $200” price range. There are many reasons why is that so. First off, it comes with powerful brushless motors that are very durable. It has flight time of approx. 15 minutes and flight range of 300 meters. By default it does not come with a camera but you can easily attach GoPro or any other action camera to it since it comes with “camera holder”. Hubsan H107D X4 is 22% OFF ($16.00) FPV drone racing is a big thing nowadays. With this miniature Hubsan X4 quad, you can get into this hobby without spending a whole bunch of money. It’s a highly agile drone capable of delivering high speed action. With cca 70 meters of operating range and 5.8G FPV range combined with approximately 7 minutes of flight time, Hubsan X4 makes up for a great FPV racing quad for beginners. There is no FPV lag since we are talking about 5.8Ghz connection and not those petty WiFi systems. So, all in all, if you want to try out your skills in fast-paced FPV racing, Hubsan X4 is a great model to start with. Just 3 days after Black Friday, another huge shopping event kicks off. It goes by the name Cyber Monday and has been making quite the name for itself in recent years. Even though it’s much newer than Black Friday, Cyber Monday has a huge following, especially for millennials and young adults. During this crazy Monday right after the weekend following Thanksgiving Day, there are huge sales on basically everything tech-related. Furthermore, Cyber Monday is online-only, meaning you won’t be able to grab deals by going to your local store. So, if you want to know everything about Cyber Monday drone deals 2017 as well as other tech gadgets, this article is your go-to Cyber Monday Bible! With hourly updates, detailed product reviews and best deals all in one spot, there is no doubt this article is the place to be once Cyber Monday 2017 drone deals start! This article is going to be updated on an hourly basis once Cyber Monday Drone Deals 2017 begin. If you want to grab drones on huge sales make sure you drop in frequently and see which particular deals are active. Titled as one of the best drones for kids, UDI U818 Plus is receiving a lot of praise from both critics and satisfied users. No surprise considering the fact we are talking about a great casual model. It is easy to control and doesn’t come with an abundance of features to overburden you. Anyway, now that we got the basics done and dealt with, let’s take a closer look and see what’s UDI U818 Plus all about! The first thing you will notice on this drone is a needlessly bulky camera strapped to its bottom. It has 2 legs which provide safe room for the camera. And it’s a pretty good one too – capable of recording 720p videos and 2MPX photos straight to the provided 4GB MicroSD card. As far as features are concerned, it possesses surprisingly stable altitude hold (little to no drift) as well as headless mode for beginners. Auto takeoff/landing are here as well and they work as they should. If you’re wondering how well does UDI U818 Plus performs in terms of actual numbers, you’ve come to the right place. Operating range is absolutely brilliant for such a humble drone. It reaches all the way to 150 meters with ease. Battery duration is great too, allowing you to fly around with UDI U818 Plus for around 10 to 15 minutes. First of all, you should know that it sports a much smaller camera than UDI U818 Plus. It is a built-in one that can also record in 720p and take 2MPX still images. So, for all you selfie lovers reading this, Altair AA108 is the right drone for you! Features are not a downside by any means. Altair AA108 sports WiFi FPV (up to 30 meters) as well as both of the features from UDI U818 Plus. Let me remind you – I am talking about headless mode and altitude hold. They might not yield the best accuracy but will still work more often than not. Altair AA108 really sets a good example for all other entry-level miniature drones as far as specifications are concerned. It’s all thanks to the lightweight design and solid LiPo battery that can produce enough juice for roughly 10 minutes of airtime. Furthermore, Altair AA108 can go as far as 100 meters away from its controller. Keep in mind though – WiFi FPV works only to roughly 30 meters so you’ll need to fly LOS if you want to test its full range. Holy Stone is a pretty big name in the lower-end section of drone market. Even though they have several mid-tier models, they’re most known for their budget-friendly products. Holy Stone F181W falls somewhere in the middle of these two categories as it’s relatively cheap but cannot really be considered as a toy. Want to know more about it? Well then, take a look at the next few paragraphs that will tell you more about this awesome little bugger. Holy Stone F181W comes with a miniature HD camera. We are talking about a 2MPX sensor that can capture solid 720p videos. There is no stabilization onboard, of course, but the videos are still pretty smooth and jello free. Features are on point too, but you cannot really expect a lot at this price point. Still, Holy Stone F181W fares well with adjustable flight speed, one key flips and even one key return to home. Nothing to add or deduct so far, Holy Stone F181W has done itself justice! Needless to say, we are talking about a brushed quadcopter with a solid build quality and console-style controller. It also runs on a 1S 750mAh battery which does its work very well. This battery can provide from 7 to 10 minutes of flight time. The controller is reserved for the last spec – operating range. Holy Stone F181W manages to do itself justice here as well, with approximately 80 meters of coverage. Pretty neat little camera birdie, don’t you think? The first in line of foldable and selfie drones is Hover Camera Passport. This is a rather unconventional drone that can only be controlled via smartphone and thus does not come with a traditional physical controller. The second notable thing about it is its unconventional design. You can read more about it down below. Let’s start off with the design as I already mentioned it above. You see, we are talking about a full enclosed drone with a narrow (but relatively thick) central portion which contains all sensors and electronics. Both sides can easily be folded downward allowing you to basically put this birdie in your pocket. It’s quite durable too, not surprising considering it’s made out of carbon fiber. The camera is a huge plus and probably the biggest selling point of Hover Camera Passport. We are talking about a top-notch 13MPX sensor with electronic image stabilization and angle adjustability. It records 4K videos and takes unparalleled selfies worthy of $1000+ drones. So, if you’re basically looking for an aerial selfie machine, Hover Camera Passport is the obvious way to go. Unfortunately, specifications aren’t Hover Camera Passport’s strongest point. Don’t get me wrong, they are not awful… but more demanding users will surely crave for more. Take the operating range as the perfect example. Hover Camera Passport is controlled via smartphone (over WiFi) and can reach approximately 20 meters away from it. Obviously, this is short for any serious work… but for selfies and casual aerial videos, it is more than enough. Battery duration hovers around the standard numbers, providing approximately 10 minutes of airtime. Now we’re getting to the smallest Cyber Monday drone deals 2017 drone ever made by DJI. Of course, the Mavic Pro was the smallest one for quite awhile… but that’s until DJI Spark took its place. It also cemented itself as the best miniature drone as far as casual users are concerned. With an exceptional camera and great performance, there’s nothing stopping DJI Spark from becoming the most popular drone of today. Let’s start off with its camera… or, more precisely the gimbal. Yes, DJI Spark is the world’s smallest drone to come with an actual gimbal. It’s not a 3-axis but a 2-axis gimbal which still does a great job of eliminating all shakiness and vibrations from your videos. The feature-set is nothing short of brilliant, but I suppose you’ve all expected that. The most notable ones are definitely Follow Me and gesture controls. Facial Recognition is here as well, and it works in a wonderfully simplistic manner. 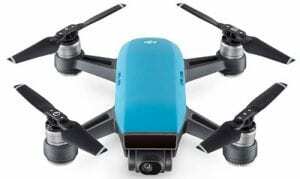 If you buy the standard version of DJI Spark, you will not get the best specifications out there. On the other hand, if you opt for DJI Spark Fly More Combo (which I strongly recommend), you will not just get another mere selfie drone but quite the explorer too. Thanks to the dedicated controller that comes with Fly More Combo, your Spark will be able to reach up to 2 kilometers. This all depends on where you live and can range from 500 meters to 2 kilometers if we are to be more precise. The battery duration is the same across both packages, standing well at around 16 minutes. Now we are going to take a closer look at Karma, GoPro’s attempt at making the perfect compact aerial photography drone. And, quite frankly, they’ve done a pretty good job. Even though there were some issues way back after its initial release, everything is now fixed. GoPro Karma is flying better than ever and lots of people are going for it. Perhaps you’ll be one of them after you are done reading the next couple of paragraphs. Great things await you as far as imaging solutions are concerned. This was, of course, completely unsurprising considering we are talking about a GoPro product. Karma comes with a gimbal with official support for the following action cameras: GoPro Hero 6 Black, Hero 5 Black, and GoPro Hero 4 with a special harness. All in all, with straight out of the box support for 3 most newest GoPro action cameras, there is no doubt in Karma’s video quality. Features aren’t too far off either. Karma supports 4 autonomous modes – Orbit, Dronie, Reveal and Cable Cam. Only the last 2 are fully autonomous though, as they allow you to send GoPro Karma on a specific flight route. Operating range is always a big part of all drones whether they’re made specifically for aerial photography or any other type of commercial use. Luckily, GoPro Karma fares quite well with up to 3 kilometers of operating range thanks to its sophisticated transmitter. Battery duration is better than average but just can’t cut it when compared to DJI Mavic Pro. With that said, you can expect up to 20 minutes with GoPro Karma. Not bad… but I for one really wanted to see a bit more. Miniature drones with great cameras are an up and coming category on the market. It seemed as though Mavic Pro will be the first and last DJI’s try at this category… but this was proven wrong once DJI Spark was released. Still, for slightly more money, Mavic Pro offers a much more sophisticated user experience than Spark. Is it worth the upgrade and extra bit of money? Well, let’s find out! You will be happy to know DJI Mavic Pro sports a fully fledged 4K-ready camera that works more or less at the same level as other full-sized flagship drones. That’s not only becuase of the camera itself but becuase of its dedicated (and apparently world’s smallest) 3-axis gimbal. Obviously, it is in charge of eliminating shakiness and it does so without even breaking a sweat. And finally, features of DJI Mavic Pro are plentiful as you’d come to expect from DJI. There are several autonomous flight modes including the popular ActiveTrack and TapFly. This miniature quadcopter can also be folded which makes it a travel-friendly option. On top of all that, DJI Mavic Pro sports a sophisticated obstacle avoidance system that will give you a peace of mind when flying it all around your neighborhood. Last but not least, we’ll check out DJI Mavic Pro specifications. They’re basically the same as DJI Phantom 4 Pro and DJI Inspire 2 with slight oscillations depending from drone to drone. That’s because all 3 of these drones use DJI’s OcuSync transmission technology which gives them up to 7 kilometers of range. They also have similar battery capacity/weight ratio which holds them accountable for roughly 25 to 27 minutes of flight time. Both of these numbers are much higher than what DJI Spark Fly More Combo has to offer. So yes, DJI Mavic Pro is definitely worth that extra bit of money. This is especially so when it comes to Parrot Bebop 2 Adventurer packaging. It costs slightly more than the standard one but grants you SkyController 2, Cockpitglasses and a backpack (that fits everything) on top of all that. As far as features are concerned, Parrot Bebop 2 comes with the standard Altitude Hold and GPS. However, if you want autonomous flight capability such as Follow Me or Waypoints, you will have to make an in-app purchase from your smartphone. Lastly, the camera is a solid A with electronic image stabilization and FHD videos. Nothing much to say about it since it works amazingly well. Parrot Bebop 2 grants pretty decent specifications. Even more so when used not with a smartphone app but with the provided SkyController 2. This transmitter effectively extends the range from 100 or 200 meters all the way to 2 kilometers. It is also important to note its 2700mAh 3S LiPo battery which gives out anywhere from 20 to 25 minutes of flight time. Considering all that, I doubt many of you will find a downside to the awesome Parrot Bebop 2! But that bright orange body isn’t the only real “standing out” factor with Autel Robotics X-Star Premium. Among a plethora of flight modes, this birdie also sports GPS and GLONASS reception as well as Magnetic Interference protection. It can also return to safety even after losing connection thanks to its failsafe protocols. The camera is no pushover – 4K ready sensor that’s capable of providing smooth aerial footage thanks to its dedicated 3-axis gimbal. Needless to say, you can rest assured that you will have professional grade aerial footage whenever you want. Autel Robotics X-Star Premium can provide that, for sure! In terms of specifications, X-Star Premium has practically double the numbers of X-Star (the standard version). This is most notable with flight range that goes to around 2 kilometers. HD live stream works quite far too, all thanks to the provided Android-powered transmitter. You won’t be limited by battery duration either as X-Star Premium can fly for up to 25 minutes per charge. 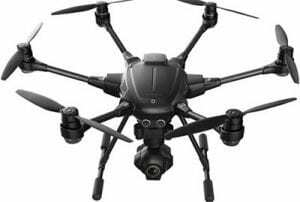 Yuneec has several outstanding models at its disposal, but the best one is undoubtedly Typhoon H. There is Tornado H too… but it belongs to a higher price range. Typhoon H, on the other hand, delivers somewhat of a similar performance but is much more affordable. So, without much further adue, let’s get right into it and see what does it bring to the table! Finally, we have reached the last drone on this list. Undoubtedly, I expect a massive DJI Phantom 4 Pro sale in the following few days. So, if you are looking for a professional-grade drone with unparalleled performance, now is the time to get it. Want to know why exactly is DJI Phantom 4 Pro among the best selling professional drones out there? Well, perhaps reading the next couple of paragraphs will shed some light on the topic. Let’s start off with its camera, shall we? 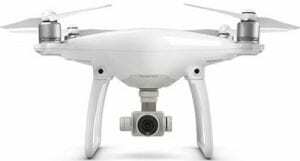 DJI Phantom 4 Pro sports an admirable 1-inch sensor with aperture control and mechanical shutter. We are talking about a 20MPX camera that records 4K videos at buttery smooth 60FPS. Aerial photos are nothing short of brilliant, ensured by that top quality 3-axis gimbal that can be seen in the image above. But what’s a good camera without a stellar array of features?! Well, DJI Phantom 4 Pro doesn’t fail to deliver thanks to full DJI GO app support. It includes a ton of different flying modes including autonomous flight. Obstacle avoidance is here. This time around we are talking about a 5-directional system that precisely detects and avoids potentially dangerous objects. Just a few days after all the Black Friday infused madness comes the second part – Cyber Monday. You can think of it as a second chance of grabbing awesome deals for people who missed out on Black Friday deals. While Black Friday offers both online and “live” shopping, Black Friday sports only online goods. During these 24 hours of Cyber Monday drone deals 2017 will most likely be the first ones to sell out. Unsurprisingly, considering their rapid growth in popularity over the course last few years. In addition to drones, Cyber Monday will offer lots of other tech-related gadgets. With that said, there will surely be something for everyone’s taste! Why is it called Black Monday? I’m sure the majority of people are well familiar with the term Black Friday and why is it called that way. After all, it’s a tradition that dates back all the way to the half of the last century… However, Black Monday is a fairly new term that has been “created” in the last 10-12 years. With the rise of online shopping, of course. To be more precise, Cyber Monday was first mentioned in 2005 by Ellen Davis, senior vice president of NRF (National Retail Federation) in a press release. The title was “Cyber Monday Quickly Becoming One of the Biggest Online Shopping Days of the Year“. In that press release, there was a citation from a research which noticed quite an increase in sales generated by online stores on the Monday right after Thanksgiving Day. So with a little bit of word game – Cyber (as in online shops) Monday (it’s on Monday, duh…), we get the term we all love and enjoy nowadays. The trend was quick to set in as more and more online stores started featuring massive discounts driven by successful Black Friday profits. Whether you’re looking for more cheap items or you’ve missed out on BF deals, there’s no need to worry – Cyber Monday has you covered! I’m sure you all learned by now that Cyber Monday falls on the next Monday right after Thanksgiving Day and Black Friday. This year around, Black Friday falls on Friday, 24th November, meaning Cyber Monday is reserved for 27th November. So, if you are looking for great drone deals (or virtually anything other), make sure you visit your favorite stores on these 2 dates!